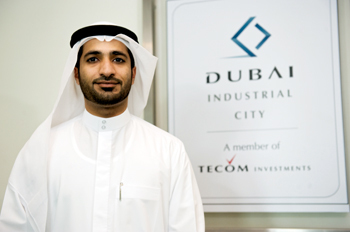 Dubai Industrial City (DI) will continue to support the UAE’s vision to grow its non-oil sector and Dubai’s plan to make the emirate a major hub for the international halal industry, says DI CEO Abdulla Khalifa Belhoul. Belhoul notes that the UAE economy has recovered well from the downturn of recent years. “What happened in 2008 was a correction,” he says, adding that it only marginally affected DI, whose project site is huge at 55 sq km and encompasses several industrial categories. While pointing out that sectors which DI encourages such as FMCG (fast-moving consumer goods), F&B (food and beverages) and chemicals “would grow even during a recession” he says that the downturn’s effect on DI had been only “marginal” compared to real estate projects such as offices and residences. “Our prices were holding up … in general it was okay,” he says. Belhoul also points out that Dubai was able to bounce back “within two to three years” from the recession. “The economy has grown and we’re on track,” he says, adding that the resurgence has been facilitated by Dubai’s strategic plans and its support for the non-oil industrial sector. “We see growth coming up,” he adds. In 2013 as many as 158 new companies enrolled at DI and Belhoul expects new tenants will be around the same in number this year. “The economic environment is very positive especially with the success of the 2020 World Expo bid. 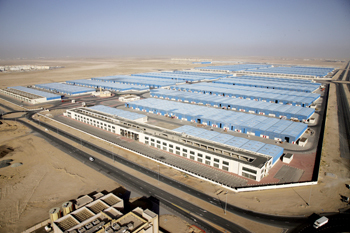 DI and its factories will leverage the hub’s location between Al Maktoum International Airport and Jebel Ali Port and its proximity to the 2020 Expo site,” he says. DI reported a 33 per cent surge in revenues in 2013 and Belhoul projects that growth in 2014 would also be in “double digits”. He adds that the 2020 World Expo would “highly impact” growth at DI because “we are neighbours of the venues of Expo 2020”. 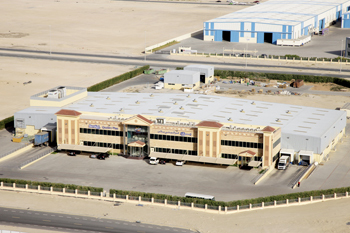 As Dubai Industrial City is not a free zone, its tenants are required to have a local sponsor. However, DI has already attracted a few international players who have set up shop under a joint venture with a local partner, says Belhoul, giving examples such as Caparol, the German paint manufacturing company, and Almarai, the Saudi-based maker of food products. Discussing the Halal Cluster set up at DI, Belhoul says it was mainly driven by the vision of HH Sheikh Mohammed bin Rashid Al Maktoum, Vice President and Prime Minister of the UAE and Ruler of Dubai, to make Dubai the capital of Islamic economy. “Part of our initiative is to support this vision. The main idea is to create a regional Halal Cluster capable of competing with major international halal clusters,” he says. 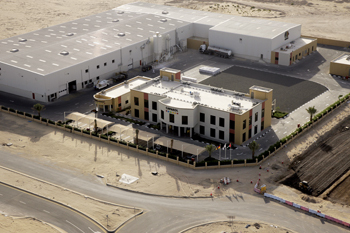 Towards this end, an area of 6.7 million sq ft, roughly 2 per cent of the total area at Dubai Industrial City has been allocated for the cluster which aims to make a major contribution to Dubai’s economy after finance and capture a share of the $1 trillion international halal market. “We expect the cluster to grow annually by 20 per cent in the next five years as there is a lot of interest from halal manufacturers to base their industries in Dubai,” he says. An important stipulation is that they have to conform to local regulations for the production of halal products. Food and beverage would be the main driver of the cluster but it would also include cosmetics, among other sectors. Efforts to market the Halal Cluster among halal industrialists are ongoing. “We’re in discussion with a few firms and we will disclose their names after conclusion of the deals,” Belhoul says, adding that while the focus this year is on the cluster “we will continue to support the Dubai Government initiatives in all terms”. He also says there were no plans to expand the current area of Dubai Industrial City, which will “remain at 55 sq km”.